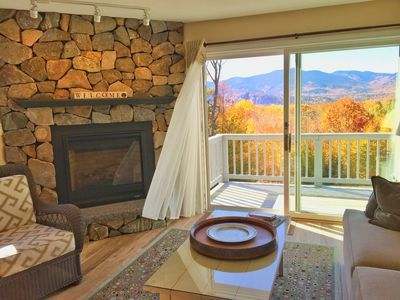 NORTH CONWAY – HIGH END EAGLE RIDGE CONDO with SUPER Mountain Views! Contemporary condominium with a bright and airy open-plan layout. 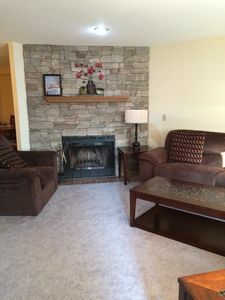 Recently upgraded, with new appliances and improvements throughout. 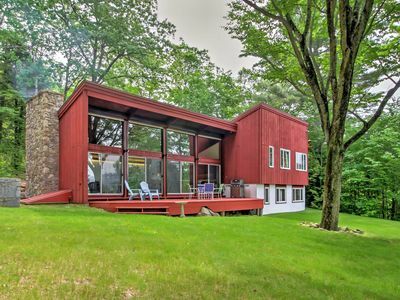 This property has been very well cared for and is in pristine condition. 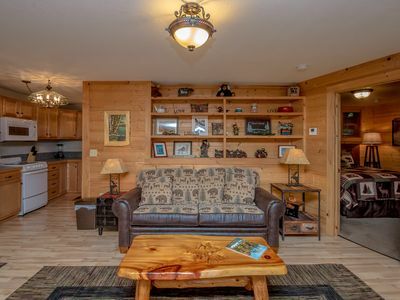 Sleeps up to 6 people comfortably. 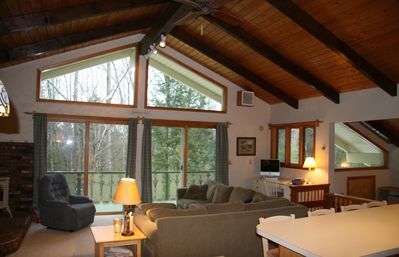 Master bedroom includes queen size bed, full bath en-suite and unrestricted mountain views. Second bedroom has bunk beds and a double bed sized pull-out futon sofa. 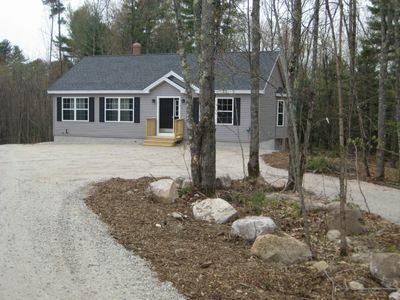 Full kitchen, with all new appliances and all normal cooking/eating utensils included. 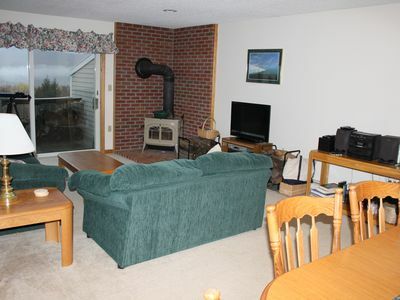 Includes washer & dryer, and a free-standing air conditioning unit. 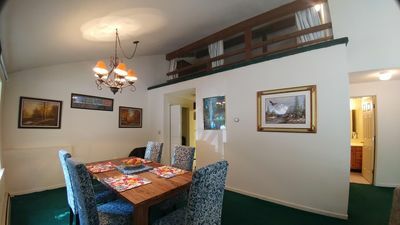 Open-plan living room/dining room includes dining table for six, leather couch and TV/DVD in living room. Sliding door opens onto a deck off the main living room, offering spectacular, uninterrupted mountain views. 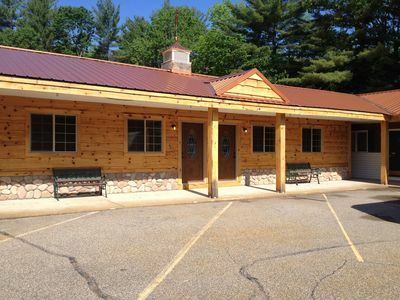 Fantastic Intervale location is only three miles to North Conway Village center. 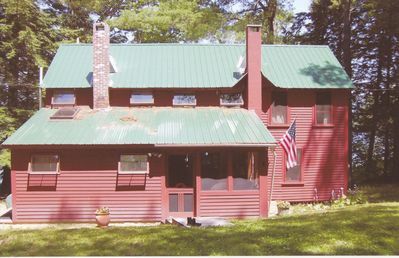 Eagle Ridge abuts the Merriman State Forest, which has multiple hiking trails. 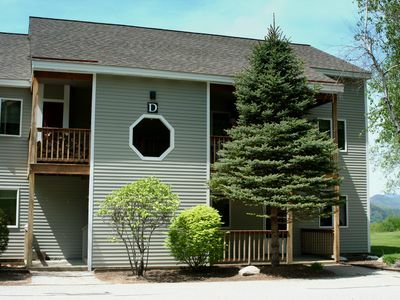 Condo has a heated outdoor pool, tennis courts and basketball net. 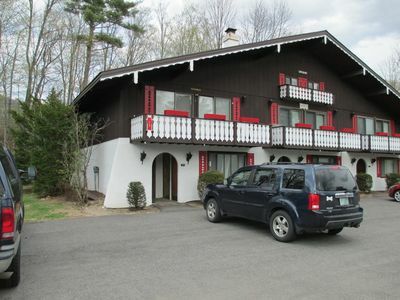 The condo is located 10 minutes' drive from Storyland, and is close to Echo Lake. 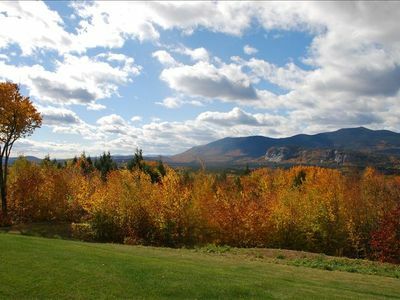 Several White Mountain ski areas (Cranmore, Attitash, Wildcat) are 10-20 minutes away. Settler's Green outlet shopping is excellent, and is a short drive away. 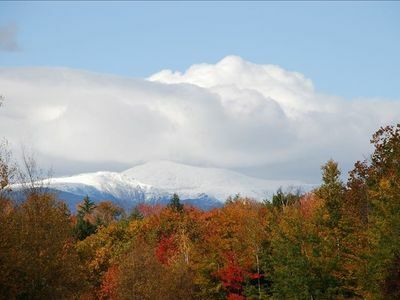 Mount Washington (visible from the condo complex) offers multiple outing options. 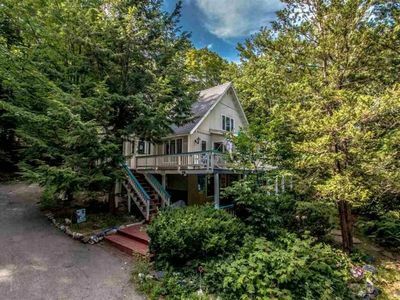 Plenty of hiking and trails for all abilities and tastes are within easy reach – some accessible from the property itself. Welcome skiers. Warm and inviting family home. Perfect waterfront location. 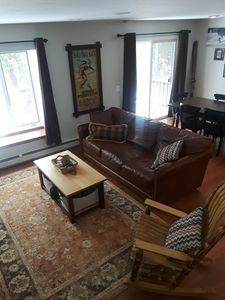 White Mountains NH Condo - Great For 2 Families - Near Attitash And Storyland! 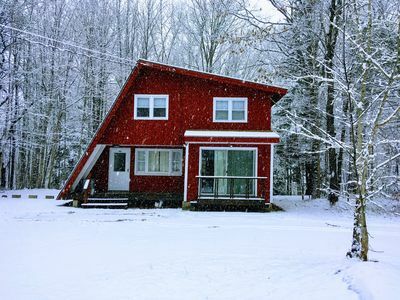 Cozy Mountain House II - Fab Views near N Conway, StoryLand & Skiing! 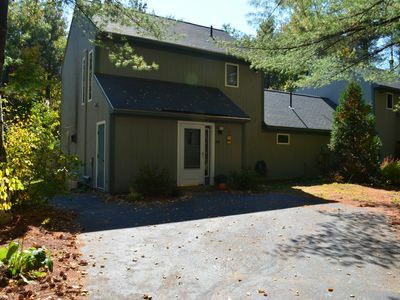 Family-Friendly Glen Home w/White Mountain Views! 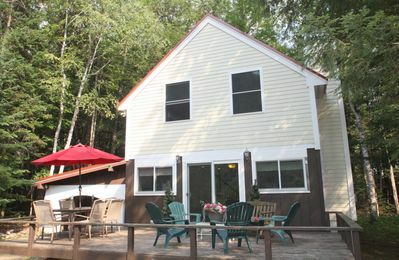 Save %15 off week rentals! 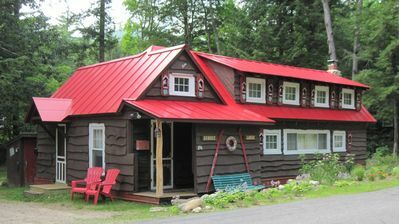 4th July week still available! Celebrate here! 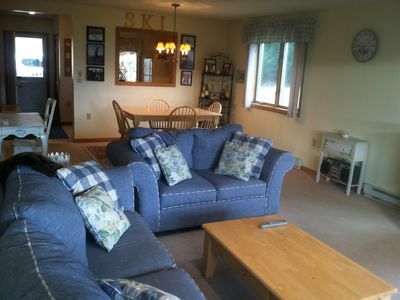 NH Skier’s Paradise, Sleeps 22, Pool Table & Sauna, Pets Welcome!